Believe it or not- pictured above is Mark Harmon, West Point Coca-Cola, Large Store Area Manager dressed up in Coca-Cola and St. Pattys Day celebration attire. 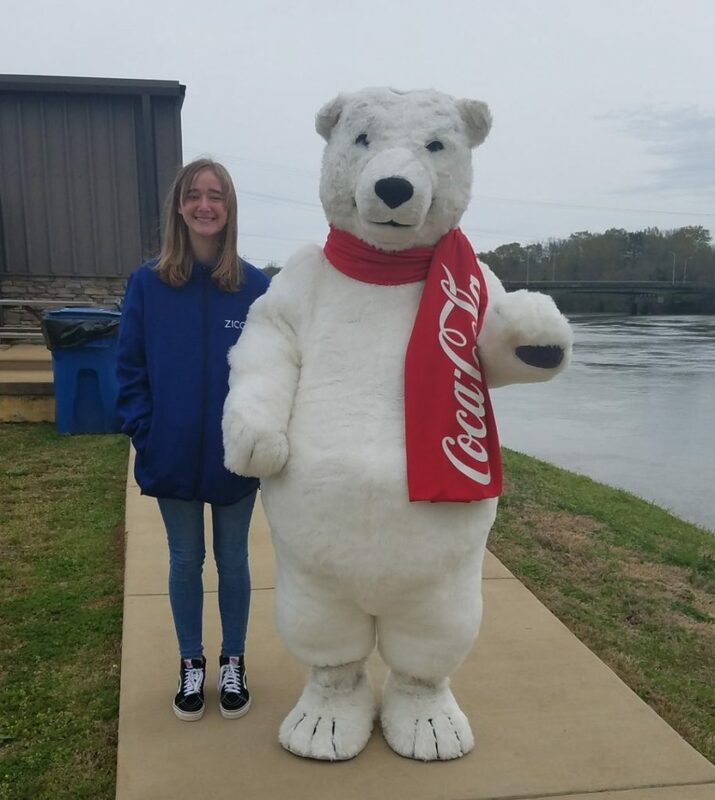 The Coca-Cola Polar Bear helped celebrate St. Patrick’s Day in West Point’s “St. Patty’s Day on the River” event, an annual celebration on the Chattahoochee (“Hooch”) River in West Point, GA., held on Saturday, March 16th. 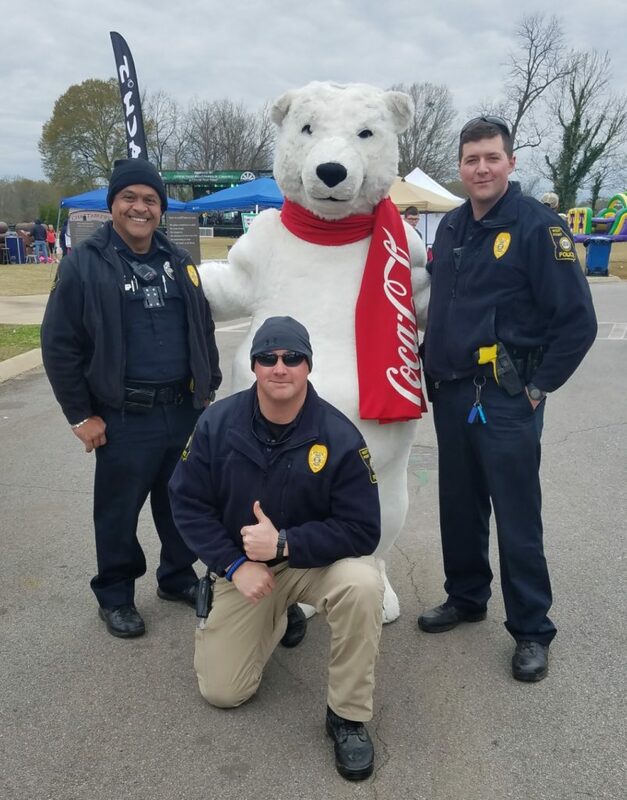 First Responders vied for some Polar Bear love as they paused to strike a pose with our Bear during this fun filled family event. Pictured above are some of West Point’s Finest (from left to right), Officer Jorge Olmo-novo, Captain Kevin Carter and Officer Brandon Longshore. 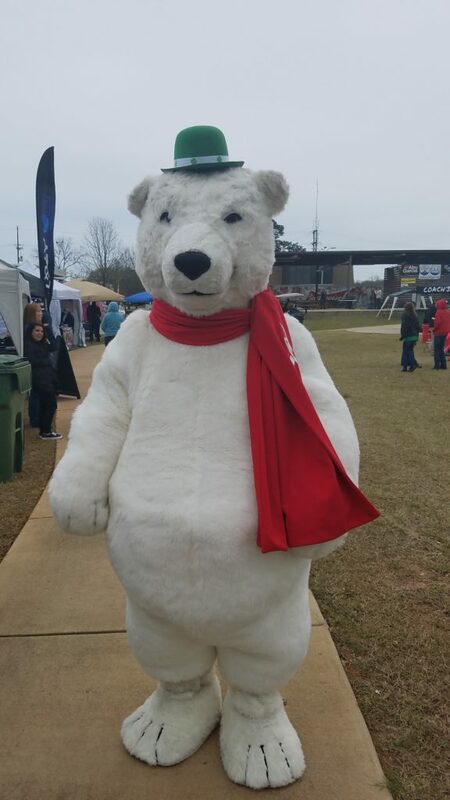 West Point’s Large Store Area Manager, Mark Harmon, donned the Polar Bear persona, spreading Coca-Cola happiness as he strolled through crowds of our area’s would be leprechauns. Children and adults alike were delighted by his appearance; especially, Kelsea Harmon posing with her Polar Bear Pop (Mark Harmon) .